The long awaited series between the Cleveland Indians and the New York Yankees is finally here. Even though the Yankees had to play in the Wild Card game, everyone knew that the Twins had no chance to beat the Yanks, and this series was inevitable. This series is going to be closer than what the experts are predicting, but I do think the Indians will win. The Indians are the best team in baseball this season and were one inning away from winning the World Series last year. 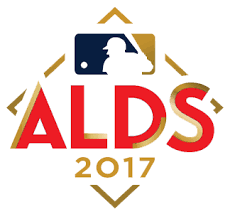 They have gotten better since last season and I would be shocked if they do not make the World Series again this season. They outmatch the Yankees in every facet of the game and should win this series in three or four games. The Yankees are having a surprise season this year, their expectations in the preseason were to play meaningful games in September. It is October 5th and they are guaranteed to play meaningful games for another couple of days. They have already overachieved this season and are now playing on house money, no matter how this series plays out, this season will be looked at as a success for the Yankees. This series is going to be really fun to watch, these two teams are two of the best teams in baseball and that will be visible in the games. The Indians are getting cocky and not lining up their best pitcher to pitch Game 1. Corey Kluber, who is going to win the AL Cy Young award, is slated to pitch Game 2, which makes Game 1 a must win for the Yanks if they want to win the series. If the Bombers win Game 1, then they will most likely win this series, but if they lose, they will get swept. Both teams have great offenses that can score runs in bunches. As we have seen throughout the year, the Yankees are very streaky and if they get hot, then they can outscore any team in the MLB, they will need to be hot to win this series. The Indians have a great offense also, that is capable of taking over the game. Both offenses are going to get plenty of chances to score runs, whichever team jumps on those opportunities will win this series. The rotations for the two teams are very even, with a slight edge to the Bombers. The Indians have a rotation that is very streaky and can have days when they just do not have it. The Yankees should be able to score runs on all the Indians starters outside of Corey Kluber, who has been a Yankee killer in the past few seasons. The Yankees have a great rotation that is also very streaky, they have lined up their rotation to pitch Sonny Gray in Game 1 and CC Sabathia in Game 2. Gray will need to have a great start tonight, if the Yankees want to win this series. The great equalizer in this series is the bullpen of these two teams, which are probably the best two bullpens in baseball. We already know about the Yankees bullpen with what they did on Tuesday night, pitching Eight and a third innings of one run baseball to get the win over the Twins. The Indians have a great bullpen that almost won them the World Series last season, their best reliever, Andrew Miller, can come into the game at any moment and dominate to give the momentum back to the Indians. This series is going to be a battle of the two bullpens and neither bullpen can afford to have a bad day. These two teams are evenly matched, but the Indians are slightly better in some facets of the game. I see this series going at least four games and the experience of the Indians will help them win this series in four or five games. I will try to put up an instant reaction blog after every game, but I am not going to promise that. Since, I will not be watching the games because the Yanks do better when I am not watching, you should follow along on Twitter to get my instant reaction.